In a position of leadership, we all understand the burden and responsibility of leading others. Whether you're an entrepreneur on-the-rise with a small team, a long-time leader with a huge network of employees, or something in between, we all have people working for us and with us who make it all work. One of the most crucial things we as leaders can have is not just people, but great people. In leadership, we excel when we can recruit and retain greatness. Who's following you? Whether it's people working for you, loyally support your endeavors, or otherwise. 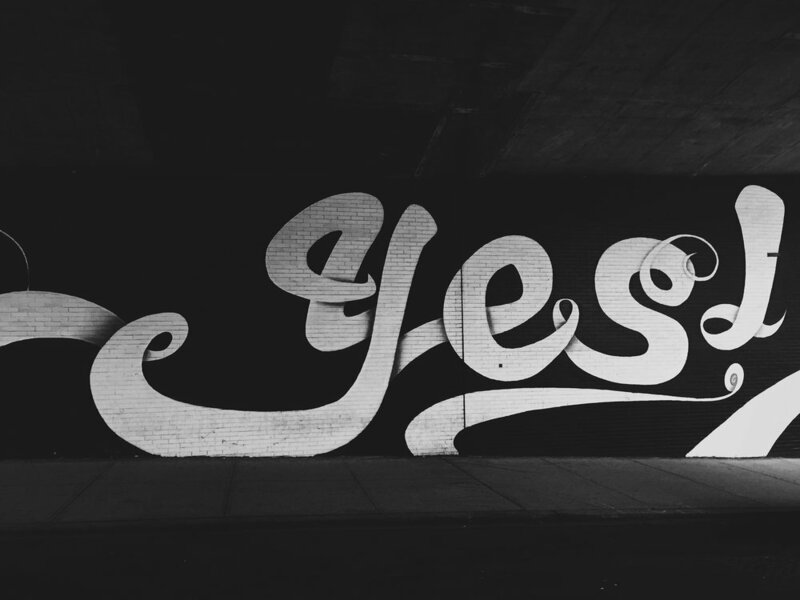 If you lead, you need to know that people will say “yes” when you ask. But how can you make sure of that? I'm not talking about manipulation or mind games. Here are my top tips on how to form the relationships and set the foundation that will lead to your long-term success in business leadership as an owner, manager, or entrepreneur—the relationships that get "yes" instead of "no" when you ask. 1) You empower them to lead. When it comes to your team, part of what keeps them on board is a feeling of ownership. Even though you are in a position of leadership, you have to be willing to delegate responsibility and ownership to your team. Are you allowing your team to grow and take on responsibilities? Are you entrusting them with more? Or do you let fear—fear of them being poached by competitors, or growing out of their position and moving on—hold you back from giving them opportunities to gain more experience and skills? Allow your team to lead. Empower them to take charge and pursue their own ambitions. Not only does it help you in terms of having more capable hands on deck, but it keeps your team satisfied in knowing that they are achieving their own goals and that you support them as an individual. 2) You make them the good guy. FastCompany approached this issue through the power of “willing,” which I found a compelling way to look at it. When we think about how we ask people to do things, we find that wording and approach really matter. There is more psychology at play than we might initially think, and something that is important to remember is how you position the person you want on board— whether they are a team member, a client, customer, or potential partner. You want them to feel like the good guy. Part of how you can do this is through the power of willing. By asking people if they are willing to do something, you give them the choice to be the good guy. They choose to be good, reasonable, or altruistic. Next time you ask, try “would you be willing” instead of “would you be interested” as your lead-in. You might be surprised at how this subtle tweak in language may change your results. 3) You provide clarity and purpose. In leadership, one of our core objectives is to provide clarity and purpose. In business, change can come on rapidly and the big picture is not always accessible to the average team member. This can leave them feeling lost and like a small, insignificant cog in a very big machine. Part of effective leadership is communication. We make even small cogs feel as though they are important and valuable enough to be in the loop. Providing this clarity and direction is motivating. If your team knows what is going on around them, they will better know what they need to put their energy towards. You provide purpose so they can rally behind something. In leadership, these conversations are crucial: be they quick daily updates or strategic deep-dives. 4) You recognize the power in being challenged. Bored people disengage from their work. There are two real components to keeping your people on board here: challenge and critique. For one, a challenge is important. Are you recognizing when your team has mastery over something, and where and when they need to be pushed out of their comfort zone? Challenge is critical for engagement. You want people who feel the need to conquer and climb: the need to rise up and meet untapped potential. This drive is important to tap into, but it only happens if you, as a leader, encourage it. Otherwise, your team will stagnate. The other element is critique. Are you willing to speak the truth about the shortcomings you see? It's not about swinging with a hammer but cutting with a surgeon's knife. You want to be able to be sharp and accurate for the ultimate good of your team. If you feel uncomfortable criticizing, get comfortable with it. Start figuring out how you want to do the best performance reviews that you can. Push your team to be their best. Figure out where they should apply themselves. Recognize where they need to be challenged and where their shortcomings are. It may be painful, but it is necessary for long-term growth and strength. At the end of the day, getting a "yes" from your team, clients, and customers is far less about persuasive savvy are far more about relationships. You have to genuinely value to people you work with. If you see and trust their ambition, you will be well on your way. What have you appreciated most in the leadership you've worked under? Share your experience in the comments.